Computer GK Sample Question Paper No. 7: Computer GK Sample Question Paper No. 7 as part of Computer GK Sample Papers for Competitive Exams, PSU Exam, State Govt & Central Govt. Examinations held each years. Here is Sample questions asked based on Computer GK in various exams. 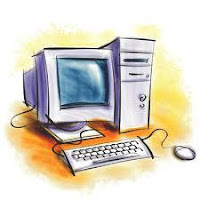 Q.91 Computers calculate numbers in what mode? Q.93 Which of the following have the faster access time? Q.94 ---- is the interface between the hard‑ ware and user ? Q.95 ----- is the extension for Microsoft Excel Spread Sheet ? Q.97 What does “DOS” stand for? Q.99 What the mean of ASCII? Q.100 What is the Mathematical package?